Active Directory is the foundation of your network. 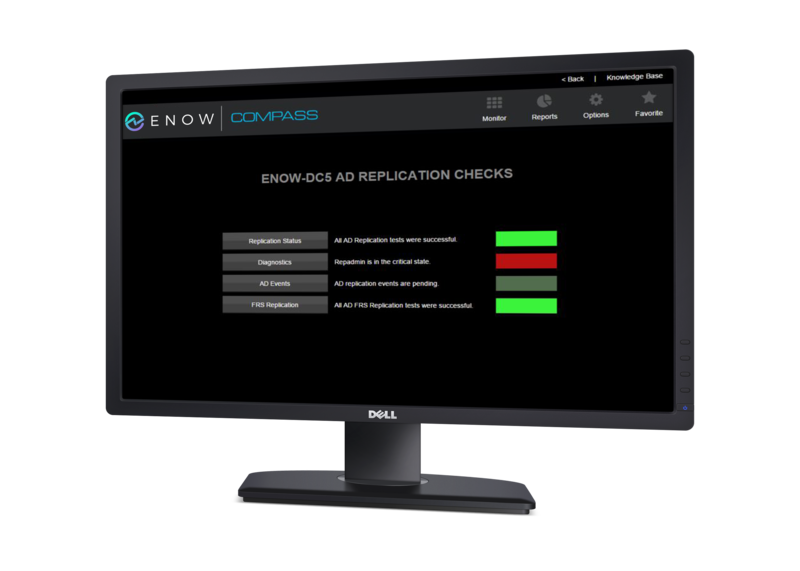 Compass helps monitor, manage, and secure that foundation. 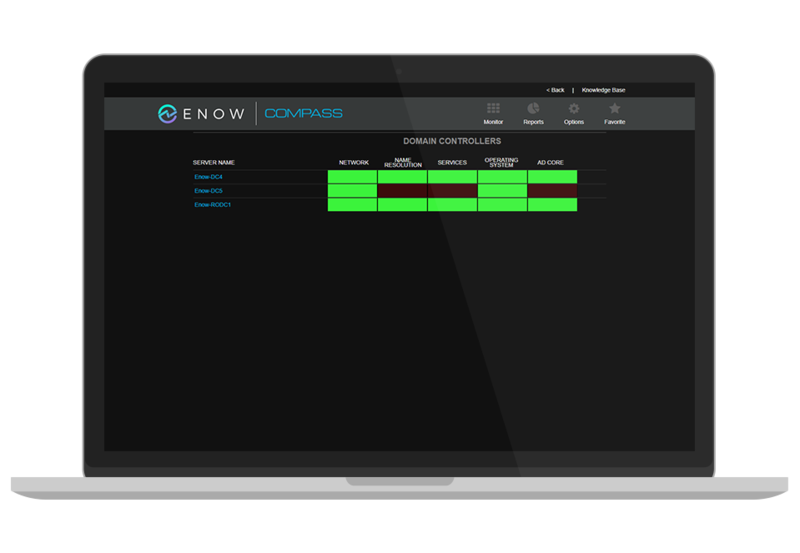 Compass monitors your Active Directory domain controllers in real time, giving you immediate visibility into network, service health, and functionality. With Compass, you can ensure that your domain controllers are able to communicate with users and each other, across domains, sites, and forests. the same domain, site and forest. Compass’'s OneLook Dashboard view gives you at-a-glance status checks data backed by deep detail on specific components. 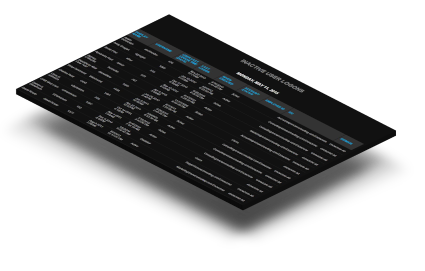 Compass uses synthetic transactions to actively probe for faults and failures across all critical Active Directory components: domain controllers, replication, DNS, and more. The synthetic transactions, passive tests, and reports built into Compass cover the most critical components of your infrastructure to give you early warning of problems and clear visibility into solutions. Compass’'s integrated reporting enables you to proactively advise management of future needs and ensure SLAs are being met. It includes over 50 out of the box reports. Logon failure can occur throughout the domain or forest if a trust relationship or name resolution fails, or if a global catalog server cannot determine universal group membership. User and service accounts can become locked out if the PDC emulator is unavailable in the domain or replication fails between several domain controllers. If replication fails for an extended period of time, objects (known as lingering objects and re-animated objects) can be created in the directory and might require extensive diagnosis and time to eliminate. Applications that are critical to your business, such as Microsoft Exchange or another e-mail application, can fail if address book queries into the directory fail. A domain controller that is unable to create user or computer accounts if it exhausts its supply of relative IDs and the RID master is unavailable. Security policies if the SYSVOL shared folder does not replicate properly, Group Policy objects and security policies are not properly applied to clients. Open up the hood on the foundation of your network with Compass. 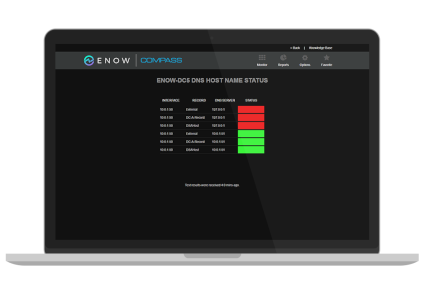 Compass empowers you to remove users that have inappropriate access to privileged groups (Schema Admins, Domain Administrators) and see what users are doing across your environment. Demonstrate to senior management, with real-time reports, that additional resources are needed to meet growing demand or that service levels are being met. 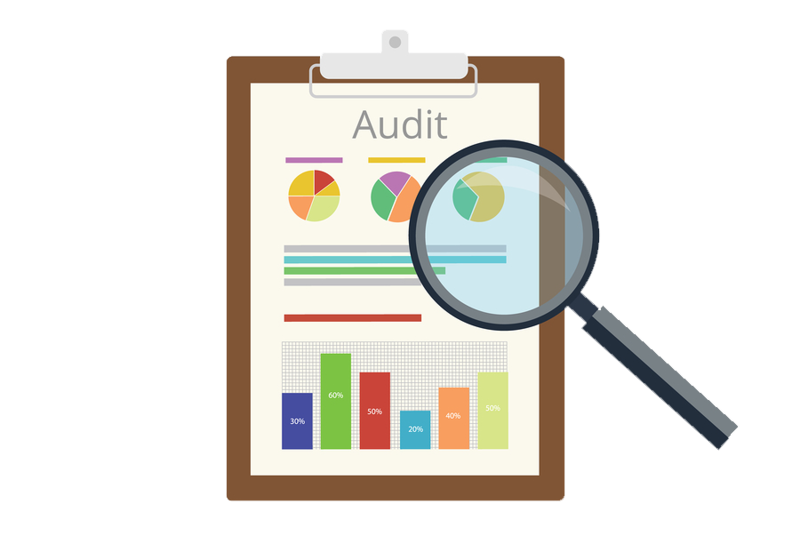 Compass helps reduce the amount of work required to cover HIPAA, SOX, and other compliance audits. Compass contains over 50 of the most commonly-requested reports and gives you the ability to customize the reports or create new ones. Compass automates reporting activities for help desk and active directory administrators. Ready to give compass a try?